The Wall Pub Table features tempered black glass and stainless steel accents. It represents the best in modern game room furniture. It is sleek, cool, and minimalistic. It is also functional. Notches on each side are designed to hold pool cues. 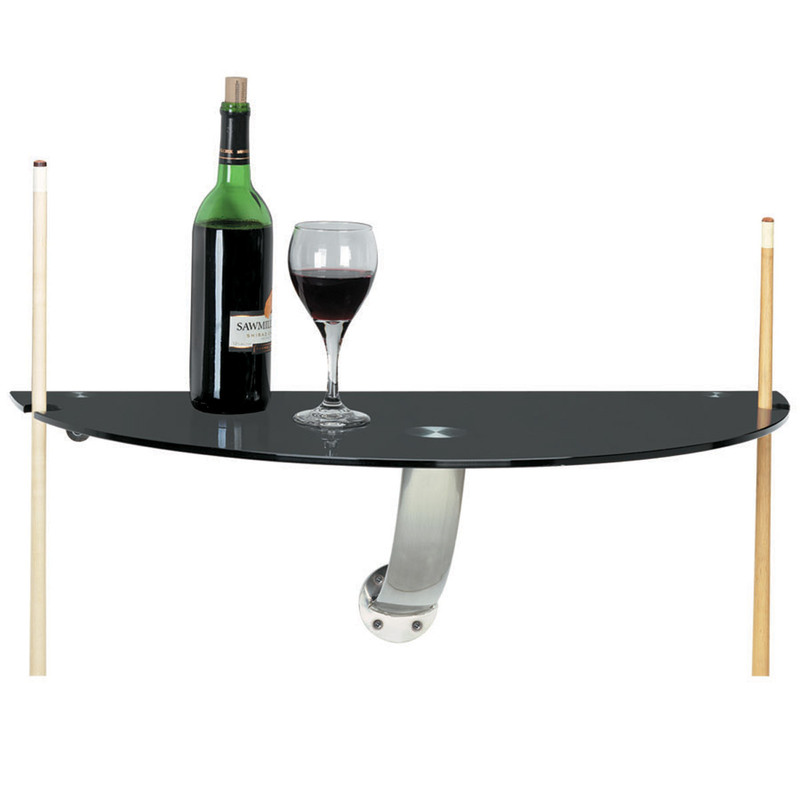 Why not relax between games without hassling with your cue rack? It is also slim, making it easy to situate in almost any game room. If you are looking for a convenient, hip addition to your game room, this wall pub table is definitely a contender.